We do have seasonal changes to hours we open. We are currently closed on Tuesdays and Wednesdays. PLEASE NOTE WE ARE GENERALLY CLOSED FOR PUBLIC HOLIDAYS, please check before making a special visit to our bricks n mortar store. 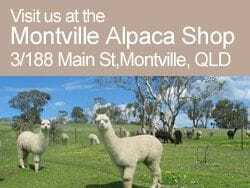 Supplying quality, natural alpaca, silk & cotton products, wholesale and to the public,online. We support local farmers in Ethiopia, growing silk cocoons for production of our African silk scarves, through to indigenous artisans in Peru and Bolivia who produce our hand knitted Inkaculture alpaca collection. We are Australia's sole distributor of the Sol Alpaca collection, a high end of market alpaca collection from Peru, including alpaca coats, alpaca knitwear for men and women, alpaca accessories and homewares. If you are a business interested in stocking alpaca products, our African silk or cotton lines,or natural fibre craft supplies, then please contact us for further information.